One variable Riddle Positive only. Single variable expressions, all positive terms. One Variable 2 Riddle Positive only. Single variable, all positive terms. One Variable 3 Riddle NEW! Positive only. Single variable, all positive terms, up to 4 terms with constants. One Variable 4 Riddle NEW! Single variable expressions. One Variable 5 Riddle 20 problems. One Variable 6 Pyramid One triangle pyramid, integer values. Two Variables Pyramid NEW! Positive only. 2 variables. Two Variables 2 Pyramid NEW! Positive only. 2 variables. 6 hexagon puzzles. Two Variables 3 Riddle Positive only. 2 variables. Two Variables 4 Pyramid Integer values. 2 variables. 6 hexagon puzzles. Two Variables 5 Pyramid NEW! One triangle pyramid, integer values. Simplifying Expressions 1 Riddle NEW! Positive only. Simplifying Expressions 2 Riddle Positive only. Simplifying Expressions 3 Riddle NEW! Positive only. Simplifying Expressions 4 Riddle NEW! Positive only. Simplifying Expressions 5 Riddle NEW! Positive only. Two distributive terms in each problem. Simplifying Expressions 6 Rebus NEW! Integer values. Simplifying Expressions 7 Riddle NEW! Integer values. Simplifying Expressions 8 Riddle NEW! Integer values. Simplifying Expressions 9 Pyramid NEW! x squared terms and fractions included. Simplifying Expressions10 Riddle NEW! Fractions, exponents and three variable terms. Distributive Number Puzzle Number Puzzle Positive only. Basic distributive property worksheet. Distributive Property Answer Bank Standard NEW! Answer bank on worksheet. Scaffold-ed problems. Distributive Property as Perimeter or Area Standard NEW! Positive only. Distributive Property as Perimeter or Area problems. Distributive Property Maze Maze NEW! Students will follow path of questions/correct answers to complete maze. Integer values. Distributive Property Puzzle Puzzle Positive only. Students will cut out squares and refit into 4x4 square so that problems match up with answers. Basic distributive problems. Distributive Property Riddle Riddle NEW! Positive only. Basic distributive property worksheet. 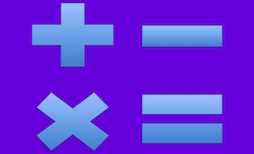 Distributive Property Riddle 2 Riddle NEW! Integer values. Distributive Property Words Standard Students create words using the distributive property. A non-math way for struggling students to practice distributing to all terms. Properties Riddle Students will identify properties illustrated by equation. Associative, Commutative, Distributive,Identity and Inverse. Properties Cut and Paste Standard NEW! Commutative, Associative, Distributive. Meant as cut and paste but could be written in. Properties Sudoku Sudoku Assoc,Comm, Dist, Inv and Id. Properties Table Standard NEW! Comm, Assoc, Dist, Identity and Inverse. Fill in the blanks.